Travel agency and tour operator specialising in developing and providing Cuba travel products to the world market. Although a small and young company we handled over 10,000 pax in 2007. 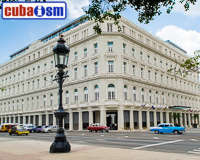 We could perhaps genuinely claim to be the world leader in online marketing and have the most technically advanced hotel reservation system in the Cuba travel industry.